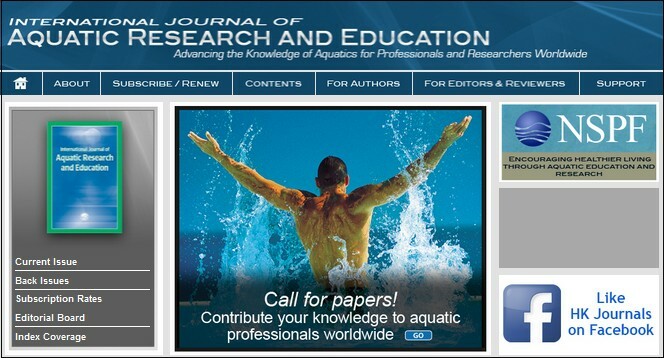 This paper discusses the development and effectiveness of a protocol for lifeguards in enclosed aquatic facilities with special emphasis on scanning, rapid rescue, and applying a resuscitation procedure in the water immediately after contacting a drowning victim. We call this set of procedures In-The-Water-Intervention (IWI). Testing showed abdominal thrusts (ATs) adapted for the protocol were the most effective IWI procedure that could reliably be performed in deep water by 16–18-year-old lifeguards. Data analysis was done on a waterpark attendance of 63,800,000 with 56,000 rescues and 32 respiratory failures including four deaths. As Sidebar readers know, performing abdominal thrusts (the Heimlich maneuver) to resuscitate drowning victims has been universally discredited as ineffective and potentially harmful by leading medical and water safety organizations, and NASCO's promotion of the treatment has been the subject of numerous media reports around the county. Per Castillo's letter, in response to the NASCO study, IJARE published a scathing analysis and rebuttal these prominent medical and water safety experts: Peter Wernicki MD, Peter Chambers DO, Roy Fielding, Terri Lees, David Markenson MD, Francesco Pia PhD, and Linda Quan MD. The authors’ two-part goal was to describe a protocol they named “in-water intervention” (IWI) that uses abdominal thrusts (ATs) and to report on its effectiveness at assisting drowning victims in waterparks. We identify serious shortcomings in the paper’s methodology, interpretation and use of the literature, and ethical principles. We conclude that their primary assertions were unsubstantiated by the evidence they presented. ...The most disturbing aspect of this study is that Hunsucker and Davison ignored the ethical principles governing the conduct of human subject research. The study failed to adhere to all three recognized principles of human subject research - autonomy, beneficence, and justice as outlined in the Belmont Report (National Commission 1979) and codified in all current regulations regarding human subject research. It appears that experimentation was conducted on unknowing human subjects (failure to adhere to autonomy). It involved the use of a disproved and potentially dangerous procedure that ignored the international standard of care - CPR (failure to recognize beneficence). To make matters even worse, the majority of the victims treated in the study were children (failure to adhere to justice). Apparently, no institutional review board was involved, consent was not obtained, and procedures for the conduct of human research in the absence of prospective informed consent were not followed. The authors seemed to justify and conduct the experiment on their own without any oversight or outside review. There was no informed consent given by the victims/patrons, but it is also unclear if the lifeguards, instructors, facilities, or their insurers were aware that they were participants in an unsanctioned study. By failing to employ appropriate methodology, statistical analysis, and conduct of the study as previously described, the study cannot be of benefit and thus fails even the minimal required test of human subject research - that a study has social value and scientific validity. Castillo also asked Dr. Langendorfer to obtain the names of "the waterparks which provided data to the authors (since they) may have participated in violative human subjects research" and to obtain details about the "32 respiratory failures including four deaths." Page down to read or click here to download a copy of Castillo's letter which includes this link to a pdf file consisting of the NASCO study, the rebuttal, a response to the rebuttal, a related editorial by Dr. Langendorfer, and a strong letter to the editor from B. Chris Brewster of San Diego, President of the United States Lifesaving Association. And if you're interested in the subject of retractions by professional journals, be sure to check out RetractionWatch.com.